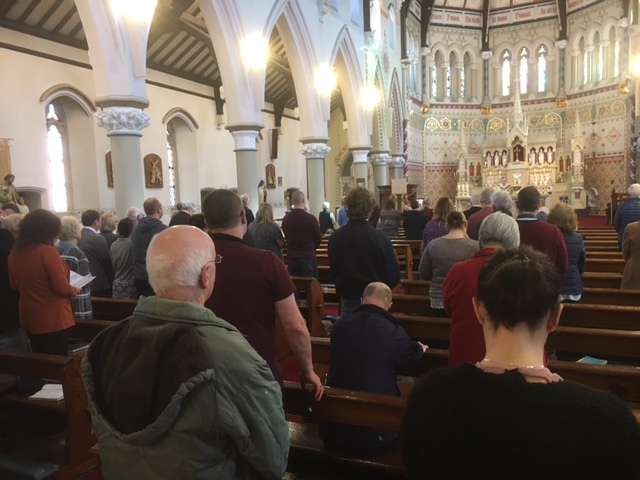 Marriage Celebration | The Parish of "Our Lady Of Furness"
​On Saturday we had our annual marriage preparation day for all those who will be married in the coming 12 months. Those preparing for marriage attended the 12:10 Mass at St Mary’s along with many couples from the parish who were renewing their marriage vows during the Mass. Around 20 couples renewed their vows which is a great sign for our parish. Please pray from all those who are preparing to get married in the coming months. I am so pleased to see this commitment to marriage in the parish where I grew up. I am not surprised that Father Emmanuel Gribben has facilitated this. After fleeing the troubles in Belfast in 1970 and coming to live in Pottery st, I got to know Emmanuel and his parents Sadie and Paddy. They were a wonderful example of marital love and togetherness, hard to find these days.